Thick and rich. Smooth as silk. 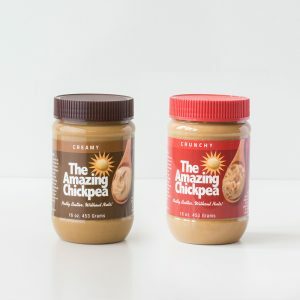 Creamy is The Amazing Chickpea flagship flavor. 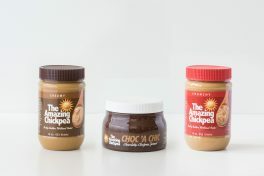 Easily spreadable on bread, crackers, pita or whatever inspires you. Delicious flavor. Nutritious benefits. And it makes a great CB&J! Thick and rich. Smooth as silk. 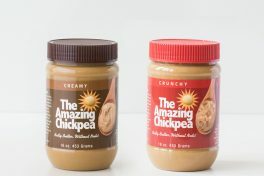 Creamy is The Amazing Chickpea flagship flavor, made with sunflower seeds for a nutty taste. 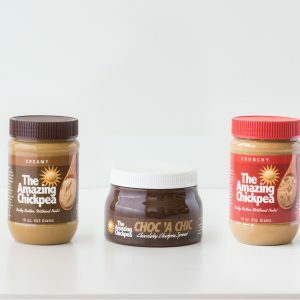 Easily spreadable on bread, crackers, pita or whatever inspires you. Use as a dip for carrots, apples, pretzels and so much more! Delicious flavor. Nutritious benefits. And it makes a great CB&J!